This article is compliments of The Art of Education. On the first day of school this year, my students entered the art room and found…no chairs. No assigned seats, no stools, not one chair to rest their weary bones. Getting rid of my chairs has been one of the simplest and most effective changes I’ve made to my classroom management plan. 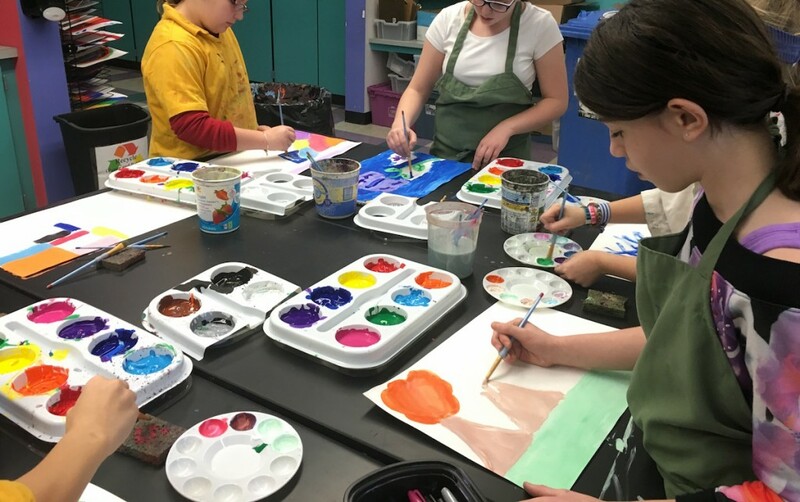 Here are 5 benefits of a chair free art room. 1. It gives kids a chance to MOVE. Let’s face it. Kids sit all day long. Physical education and recess make up about 3-4 hours of a student’s 24-hour school week. That means students sit an average of 20 hours a week in school! Just take a walk around your building and peek into the classrooms. You’ll likely see students sitting for most lessons, and rightfully so. It’s hard to teach a math concept to a room full of standing students. However, as art teachers, we have a unique advantage. We can have students gather around a table for a quick demo and then release them for independent work time. All without ever using a chair. If you’re fortunate enough to work in a school that already promotes movement, give it a try and see if getting rid of chairs works for your space. 2. Standing encourages focus and mindfulness. Mindfulness is the simple act of being more aware of yourself and the space around you. Standing is a great way to keep the brain not only alert but also focused on the present moment. How does standing help students to be more mindful? It increases blood flow and keeps students’ brains and bodies alert and awake. When students rely on their own muscles to keep themselves upright, their minds are forced to stay more present. Mindful students are better able to stay focused on their artwork from start to finish. 3. Standing provides a better angle for art making. Before getting rid of chairs in my room, I would often suggest standing as a way to “unstick” the mind of a struggling student. Changing the viewing angle of a piece of work is a technique I use in my own art making to give myself a fresh perspective. Standing can give a student who feels cramped up and uncreative a more confident and powerful feeling. Standing also gives students the ability to move around their artwork more freely. 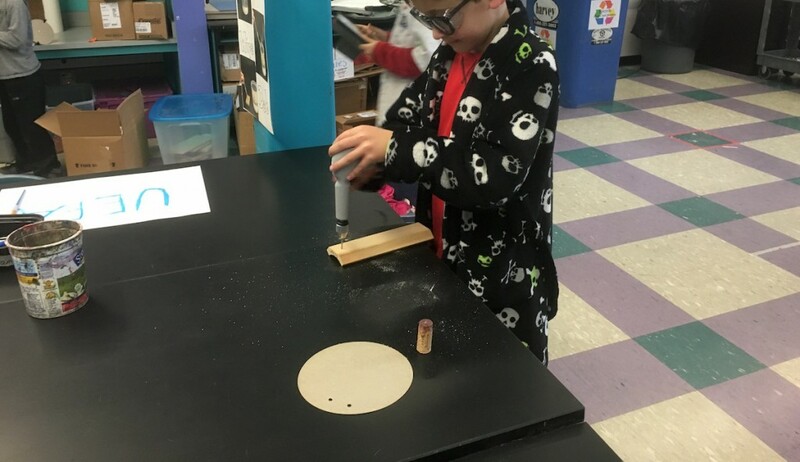 A standing student has a better range of motion for art tasks including painting, drawing, or kneading a ball of clay. Click here to continue reading at TheArtofEd.com.